You can also download the Visa /Stay Permit / Residence Permit Application Form (外国人签证证件申请表). Original documents need to be presented for inspection, then PSB will retain copies, which should be on size A4 paper. Application materials not in Chinese or English should be accompanied by translations by a qualified translation company. An interview is required except that applicants under age 16 or over age 60 or disabled who are applying for the extension of their residence permit may be represented by a third party who presents his or her own ID and a power of attorney. PSB may investigate through interviews and telephone inquiries. PSB decisions are final. PSB need not explain the reasons for refusal. In special circumstances, where regular processing times would be a hardship, PSB may expedite an application as a matter of discretion. This may include applicants needing to attend a funeral or a patient in critical condition, a student who needs to go abroad for a test or study, and a worker who needs to travel abroad on important business (with evidence such as an invitation letter from abroad and a confirmation from the Chinese work unit). Don’t buy airlines tickets in advance of approval. Same day service may be possible, but a minimum of 3 days is required in case of a lost passport. For an residence permit holder who just needs to change his or her name or passport number, the application will be adjudicated in 7 work days. The duration for each stay for visas issued by PSB will not exceed 180 days. The duration for each stay for an extension or replacement visa in the same category will not exceed the duration of stay shown on the previously issued visa. The total authorized stay (from the date of the most recent entry) will not exceed 1 year). When an extension visa is issued, the previously issued visa will remain valid. In contrast, when a replacement visa is issued, the previously issued visa will be voided. The visa validity (the last date to use the visa to enter China) will not exceed 1 year, or in the case of R visas, 5 years. Period of validity: duration of the work permit or foreign expert certificate. Must be at least 90 days. Change of status: To qualify for a residence permit for employment, the applicant must have either entered China with a Z visa or submit a certification by a Chinese government agency of being a high-level talent or a professional in urgent need in China. Purpose: includes (but is not limited to) long-term visit with foreign “family members” (家庭成员) residing in Beijing for work or study. The term “family members” for this purpose includes spouse, parent, child under 18, and spouse’s parent. Proof of relationship: marriage certificate, birth certificate, or adoption certificate. The certificate must, if issued by foreign authorities, either (a) be issued by the foreign country’s consulate in China or (b) authenticated by the Chinese Embassy or Consulate in the country of issuance. Note: You don’t need the employer’s chop on the Application Form. Although the English version of the rules on the PSB website says this, it’s a mistake in the translation of the Chinese rules. Period of validity: The same period of validity as the host’s residence permit, provided that it is not shorter than 180 days. The host must provide a written guarantee of payment of the applicant’s living expenses and that the applicant will abide by Chinese laws during the stay. If the host is under age 18, the applicant must personally provide this written guarantee. Editor’s note: PSB stated orally on Oct. 17, 2013, that if the applicant did not enter with an S1 visa, the relative with a residence permit for work must submit a certification by a Chinese government agency of being a high-level talent or a professional in urgent need in China. Purpose: includes (but is not limited to) long-term visit with PRC citizen “family member” (家庭成员) residing in Beijing. The term “family member” for this purpose includes spouse, parent, spouse’s parent, child, sibling, grandparent, grandchild, and child’s spouse. If the applicant did not enter with a Q1 visa, the host must provide a written guarantee of payment of the applicant’s living expenses and that the applicant will abide by Chinese laws during the stay. If the host is under age 18, the applicant must personally provide this written guarantee. Evidence the host has resided in Beijing over 6 months: national ID and either Beijing hukou or temporary residence permit. Period of validity: For an applicant under age 18 or over age 60, not longer than 3 years. (But for a person under age 18, the expiration date can’t exceed their 18th birthday). For others, from 180 days to 1 year. Admission notice or certification documents of enrollment issued by the host institution. Period of validity: The period of study shown on the certification documents of enrollment (but not less than 180 days). Chinese official letter issued by the host unit to the PSB, with its seal, describing: (1) basic information of the host unit and applicant; (2) purpose to visit China including activities, time and place of staying, exit-entry itinerary; (3) guarantee of living expenses and that the applicant will observe relevant laws during his or her stay in China. Change of status: Persons who enter into China with non-F visa and apply for an F visa should be invited by a category one or two duly authorized unit (被授权单位), such as the Beijing Municipal Commerce Commission. (A private company or foreign embassy is not a duly authorized unit). Number of entries: At PSB’s discretion, a replacement visa will be valid for 0, 1, 2, or multiple entries. 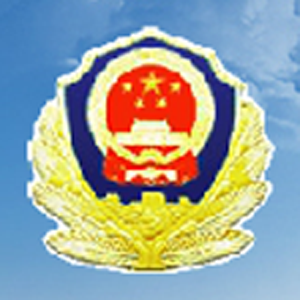 Purpose: Short-term visit to PRC citizen “family member” (家庭成员) residing in Beijing. The term “family member” for this purpose includes spouse, parent, spouse’s parent, child, sibling, grandparent, grandchild, and child’s spouse. Proof of relationship: marriage certificate, birth certificate, or adoption certificate. The certificate must, if issued by foreign authorities, be issued by the foreign country’s consulate in China or notarized. If the applicant did not enter with a Q2 visa, the host must provide a written guarantee of payment of the applicant’s living expenses and that the applicant will abide by Chinese laws during the stay. If the host is under age 18, the applicant must personally provide this written guarantee. Purpose: includes (but is not limited to) short-term visit with foreign “family members” (家庭成员) residing in Beijing because of work or study. The term “family members” for this purpose includes spouse, parent, spouse’s parent, child, sibling, grandparent, grandchild, and child’s spouse. Residence permit of the host. Change of status: If the applicant did not enter with an S2 visa, the host must provide a written guarantee of payment of the applicant’s living expenses and that the applicant will abide by Chinese laws during the stay. If the host is under age 18, the applicant must personally provide this written guarantee. Period of validity / number of entries: An S2 replacement visa may be issued for 0 or 1 entry, valid for not more than 3 months, and for a duration of stay of less than 180 days. If the applicant is being received by a travel agency, submit the Beijing business license (副本) and an official letter in Chinese from the agency addressed to PSB with (1) basic information about the applicant, (2) the itinerary and duration of stay in China, and (3) a written guarantee of payment of the applicant’s living expenses and that the applicant will abide by Chinese laws during the stay. If the applicant is being received by an individual, submit the host’s Beijing hukou or Beijing national ID card and a letter in Chinese addressed to the PSB with (1) basic information about the applicant, (2) the itinerary and duration of stay in China, (3) a written guarantee of payment of the applicant’s living expenses and that the applicant will abide by Chinese laws during the stay, and (4) both parties’ signatures. Period of validity: PSB may grant, in their discretion, an extension of up to 30 days. The host’s business license (副本). If the host is an individual industrial and commercial household (个体工商户), the host should also submit his national ID and either a Beijing hukou or a Beijing temporary residence permit. Change of status: Persons who enter China with non-M visa and apply for renewing a new M visa should be invited by a category one or two duly authorized unit (被授权单位), such as the Beijing Municipal Commerce Commission. (A private company or foreign embassy is not a duly authorized unit). Applicants not holding an X2 visa must submit a Visa Application for Study in China (JW201/JW202). Official letter in Chinese from the inviting unit to the PSB with (1) basic information about the inviting unit and applicant; (2) purpose of the visit, including activities, time and place for the stay, and itinerary for exit and entry; and (3) a written guarantee of payment of the applicant’s living expenses and that the applicant will abide by Chinese laws during the stay. If the applicant did not enter China with an R visa, submit certification materials in accordance with the introduction condition and requirement of foreign high-level talents and professional personnel in urgent need of China determined by competent department of Chinese government. Where the government asks for financial status, does this mean of the applicant or host? Where a guarantee of payment of living expenses is required above, the guarantee must be from the host, except that (a) where the host is an individual under age 18, the applicant must personally provide this written guarantee, and (b) in the case of an L (tourist) visa extension application both the host and the applicant must sign the guarantee. I am a US citizen (70 years old, retired), traveling with a 30-day tourist visa. Can I apply for a 30-day extension in Beijing at the PSB? What do I need to apply besides my passport and the application form? Thanks. Gary, Hi: Is it possible for an S2 visa holder to apply at the Beijing Exit-Entry Bureau to switch to an S1 visa for the benefit of a duration of stay longer than 180 days? What is the procedure involved? Part 1.2.3 above explains that an S2 visa holder may apply for an extension of S2 status for an additional 180 days (but not exceeding the duration of stay on the prior visa). So your real question should be, can an S2 visa holder apply at the PSB for a residence visa for private affairs? The answer is: almost never. There’s no problem according to the PSB’s written policy above in Part 1.1.2, but PSB stated orally on Oct. 17, 2013, that if the applicant did not enter with an S1 visa, the residence permit will be issued only in the rare case where the relative with a residence permit for work can submit a certification by a Chinese government agency of being a high-level talent or a professional in urgent need in China. If your relative can’t supply such a certificate and you want the residence permit, you’ll need to apply at a PRC consulate abroad. Dear Gary, I am a foreigner working for a Chinese government agency in Beijing, and I have a residence certificate. I want my mother to come to live with me. Does my mother’s application to PSB need the stamp of my employer? No. A key difference between a residence permit for employment (Part 1.1.2) and a residence permit for private affairs (Part 1.1.2) is that only the former requires the employer’s stamp (chop) on the Application Form (外国人签证证件申请表). That’s what you’ll see if you follow the above link to the Chinese rules on the PSB website. The English translation of the rules on the PSB says that you need the chop for the residence permit for private affairs too, but that is a mistake in the translation. I had my passport stolen and am on a J-1 visa. I have a emergency passport now with no visa and I have urgent travel plans overseas that I have already had to delay due to the loss of the passport. Would it be possible to have an expedited J1 visa under these circumstances or receive a tourist visa and then replace my J-1 once I am back in China and have my new regular passport? Thanks for your advice. I’m going to assume that you already had a residence permit stamped in your passport on the basis of the prior J-1 visa. As mentioned above, in special circumstances, where regular processing times would be a hardship, PSB may expedite an application for a new residence permit as a matter of discretion. This may include applicants needing to attend a funeral or a patient in critical condition, a student who needs to go abroad for a test or study, and a worker who needs to travel abroad on important business (with evidence such as an invitation letter from abroad and a confirmation from the Chinese work unit). Don’t buy airlines tickets in advance of approval. A minimum of 3 days is required in case of a lost passport. Dear Gary – Thanks for getting back to me. And for other readers of your very useful blog. I went to the EEB in Beijing and they were willing to expedite an EXIT visa for me (it would take 7 working days and I would have to leave China within 15 days of it being issued). I would have to then apply for a new visa in Thailand to re-enter China. Given I am on a J-1 visa, I presumed that doing this would be more trouble than it is worth, so I opted to simply replace my residence permit. Despite my travel plans, they were unwilling to expedite it. So I have to wait 15 working days. I have india passport and am married to a Chinese citizen and our child holds an indian passport and he went to China on Q1 visa. Now I want to bring my family back in Australia and would like to know if I need Exit permit or residence permit for my child to enable him to leave China. Previous PostPrevious What’s the Child Status Protection Act? Next PostNext Best Passport for Visa-Free Travel?